GZB is published by R. Kyle Williams a Georgia land use and zoning attorney with law firm of Williams Teusink, LLC. Kyle focuses his practice on zoning, land use and general litigation matters, representing property owners, real estate developers, builders, real estate agents and brokers, real estate appraisers and other real estate professionals. 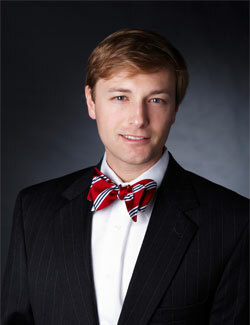 Kyle has represented clients in numerous jury, bench, and arbitration trials throughout Georgia. He also represents clients before state agencies and local governments on permitting, code enforcement, and zoning matters. In 2005, 2006, 2009 and 2010, Kyle was recognized as a Georgia “Rising Star” in Litigation, Land Use and Zoning by Georgia “Super Lawyer” and Atlanta Magazine. Kyle served on the Transition Committee for DeKalb County Chief Executive Officer Burrell Ellis and currently serves on the Decatur Zoning Board of Appeals. Contact Kyle and the law firm of Williams Teusink Larsen with all your real estate, zoning and law questions or to inquire about representation by emailing kwilliams@williamsteusink.com or calling (404) 373-9590. Disclaimer – No Attorney-Client Relationship. Georgia Zoning Blog (“GZB”) is offered for general informational purposes only. Use of GZB does not create an attorney-client relationship. Because GZB is published by an attorney licensed by the State of Georgia and some of the information on the blog relates to legal topics, GZB wants you to understand that no attorney-client relationship is created with you when you use the blog. By using the blog, you agree that the information on this blog does not constitute legal or other professional advice and no attorney-client or other relationship is created between you and the publisher, any contributor, or commentor of GZB. Do not consider the blog to be a substitute for obtaining legal advice from a qualified attorney licensed in your state. The information on the blog may be changed without notice and is not guaranteed to be complete, correct or up-to-date. While GZB tries to discuss recent land use and zoning caselaw, legislation, local ordinances and regulations, and issues, GZB may not reflect the most current legal developments or the law in your municipality or state. The opinions expressed at or through the blog are the opinions of the individual author and may not reflect the opinions of GZB or its publisher. Case summaries, analysis, or commentary offered on this blog by GZB may not reflect the entirety of the facts or holding in any particular land use and zoning caselaw, legislation, local ordinance and regulation, or issue. GZB advises you to consult directly with any such land use and zoning caselaw, legislation, local ordinance and regulation, or issue as specifically reported and to conduct your own research independent of this blog. Glad to know about your blog. Wonderful resource. Great to find Georgia Zoning blog. Some great articles. We plan to feature in our next edition of e-newsletter “Land Matters”. I like this website and would use it more, EXCEPT the grey typ and the light green type are nearly impossible to read. It looks neat and clean, but what’s the use if users cannot read it. In fact, the text b/n the header and the copy (the date and bylines?) is completely unreadable to me. the rest is just difficult to read. We are looking into buy a house where we can have livestock and growing vegetables. What zoning code should we look for? I wish to place an audiobook onto CD for normal CD players. usable in a normal CD? I was doing online research on zoning done 46 years ago by Fulton County but is now land within the Johns Creek City Limit. The land was zoned for a funeral home but today the area is heavily residential (Case RZ-13-016 – goes to Planning Commission tomorrow 11-5) – where can I look – can you please point me in the right direction? I have some property in East point, City of Atlanta & City of Forest Park all in Ga. I’m trying to make them a recovery Housing., It’s a non profile, where one to three individual stay for a period of time that has a clean & sober life style. recovering from a addiction or disorder. There all zoned R1, I’m trying to get a business licenses at the different properties. They say there boarding houses, but that’s not true. is this something you do to help in this matter, or point me to the right direstion. Do you know about the legality of having 2 or 3 pygmy or dwarf goats in Douglas county? The property is 1 acre zoned for residential.